It takes a lot of time and effort to keep Amateur Equestrian up and running! Much of our effort goes into the writing and publishing of invaluable and educational equine related content, tips and advice for horse owners, but in the creation and review of products, as well as maintaining and updating our Equine Connect database! If you LOVE our content and what we do, consider supporting us with a donation so we can keep the website up and running, and continue to publish the most amazing and helpful content we can for horse owners and equine professionals! We appreciate all donations and any bit helps in a big way! It is our mission and dream to create the world’s largest and most helpful equine owner website on the planet! We thank you again for visiting our site and we hope you have a wonderful ride! 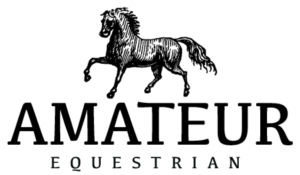 For more information on Business Sponsorship Donations please email Kristen at kristen@amateurequestrian.com. Thank you very much for your generosity and support! It’s with amazing equestrians such as yourself that we can afford to keep the website up and running!